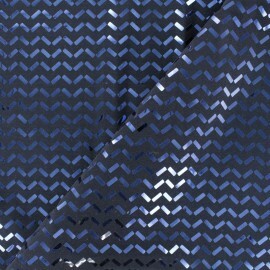 With a intense navy blue color with small shiny confetti patterns, this 95% polyester jersey fabric is ideal for making fluid clothing: dresses, jackets or blouses. 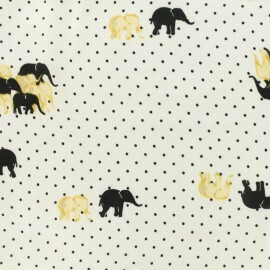 This fabric is slightly transparent, remember to line it for more opacity. 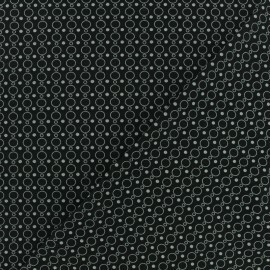 With graphic circles print pattern on a black background, this microfiber fabric with 10% of elastane has a nice elasticity, perfect for making close-fitting clothes: dresses, leggings, bodysuits or even lingerie and swimsuits. With pretty herringbones print pattern on a brown background, this microfiber fabric with 10% of elastane has a nice elasticity, perfect for making close-fitting clothes: dresses, leggings, bodysuits or even lingerie and swimsuits. 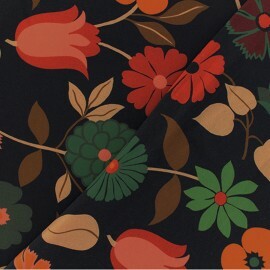 Pretty Folk Autumn microfiber fabric on a black background, this polyester fabric with 10% of elastane has a nice elasticity, perfect for making close-fitting clothes: dresses, leggings, bodysuits or even lingerie and swimsuits. 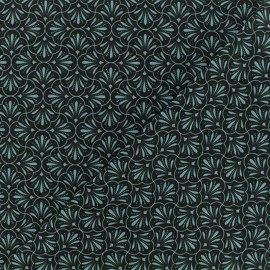 With pretty turquoise blue shells pattern on a black background, this polyester fabric with 12% of elastane has a nice elasticity, perfect for making close-fitting clothes: dresses, leggings, bodysuits or even lingerie and swimsuits. 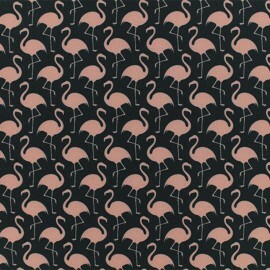 With pretty pink flamingo patterns on a nice navy blue background, this polyester fabric with 12% of elastane has a nice elasticity, perfect for making close-fitting clothes: dresses, leggings, bodysuits or even lingerie and swimsuits. 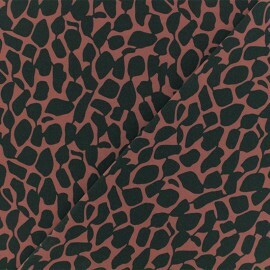 With a intense black color with small shiny confetti patterns, this 95% polyester jersey fabric is ideal for making fluid clothing: dresses, jackets or blouses. 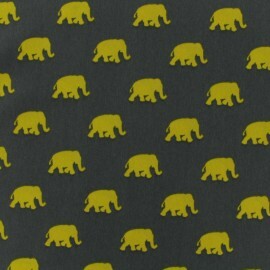 This fabric is slightly transparent, remember to line it for more opacity. With a intense plum purple color with small confetti patterns, this 95% polyester jersey fabric is ideal for making fluid clothing: dresses, jackets or blouses. 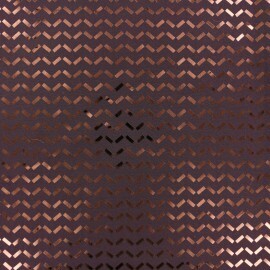 This fabric is slightly transparent, remember to line it for more opacity. 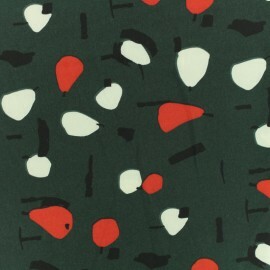 With red pears pattern on a nice khaki background, this polyester fabric with 5% of elastane has a nice elasticity, perfect for making close-fitting clothes: dresses, leggings, bodysuits or even lingerie and swimsuits. 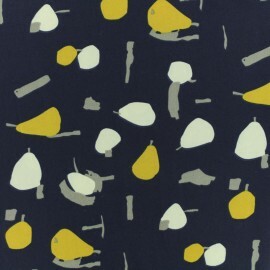 With yellow pears pattern on a nice navy background, this polyester fabric with 5% of elastane has a nice elasticity, perfect for making close-fitting clothes: dresses, leggings, bodysuits or even lingerie and swimsuits. 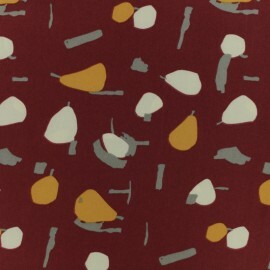 With yellow pears pattern on a nice burgundy background, this polyester fabric with 5% of elastane has a nice elasticity, perfect for making close-fitting clothes: dresses, leggings, bodysuits or even lingerie and swimsuits. 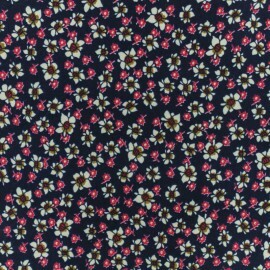 With a intense navy blue color with small white and pink flowers patterns, this 100% polyester microfiber jersey fabric is ideal for making fluid clothing: dresses, jackets, duffs or blouses. Succumb to his peach skin touch! 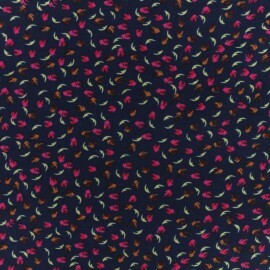 With a intense navy blue color with small pink and brown leaves patterns twirling in the wind, this, 100% polyester, microfiber jersey fabric is ideal for making fluid clothing: dresses, jackets, duffs or blouses. Succumb to his peach skin touch! 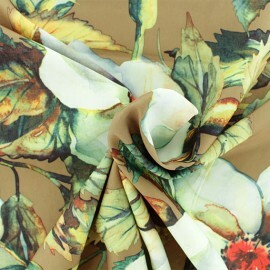 On a nice taupe background with opulent white flowers and autumn leaves, this microfiber matte fabric with a very soft touch is perfect for making fluid clothing: dresses, jackets or small blouses. On a intense blue background with opulent white flowers and autumn leaves, this microfiber matte fabric with a very soft touch is perfect for making fluid clothing: dresses, jackets or small blouses. On a intense dark blue background with opulent white flowers and autumn leaves, this microfiber matte fabric with a very soft touch is perfect for making fluid clothing: dresses, jackets or small blouses. 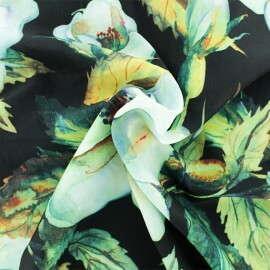 On a intense black background with opulent white flowers and autumn leaves, this microfiber matte fabric with a very soft touch is perfect for making fluid clothing: dresses, jackets or small blouses. On a intense black bacground with opulent white and gray flowers, this microfiber matte fabric with a very soft touch is perfect for making fluid clothing: dresses, bodysuits or small blouses. 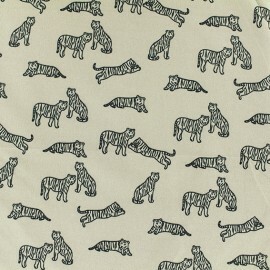 With tigers pattern on a nice beige background, this polyester fabric with 5% of elastane has a nice elasticity, perfect for making close-fitting clothes: dresses, leggings, bodysuits or even lingerie and swimsuits. 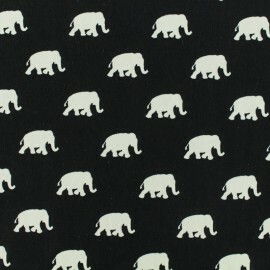 With white tigers pattern on a nice black background, this polyester fabric with 5% of elastane has a nice elasticity, perfect for making close-fitting clothes: dresses, leggings, bodysuits or even lingerie and swimsuits. 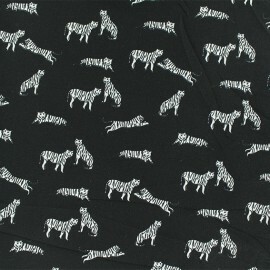 With white tigers pattern on a intense black background, this polyester fabric with 5% of elastane has a nice elasticity, perfect for making close-fitting clothes: dresses, leggings, bodysuits or even lingerie and swimsuits. 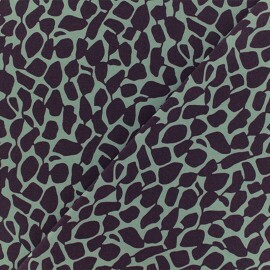 Enjoy a wide selection of satin microfiber fabric for dresses and tops ! 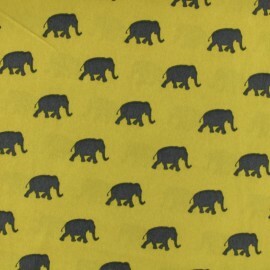 Discover our Pearl elephant microfiber satin fabric by Penelope® in white. 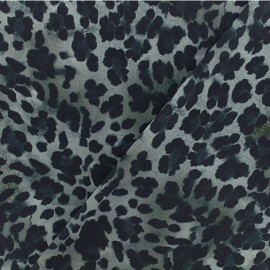 Enjoy a wide selection of satin microfiber fabric for dresses and tops ! 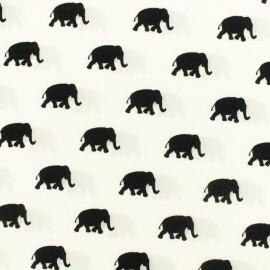 Discover our Pearl elephant microfiber satin fabric by Penelope® in black. 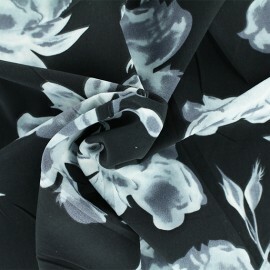 Enjoy a wide selection of satin microfiber fabric for dresses and tops ! 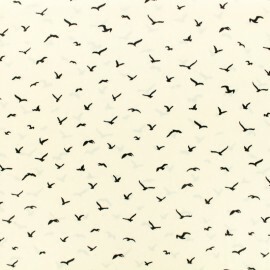 Discover our Pearl bird microfiber satin fabric by Penelope® in white. 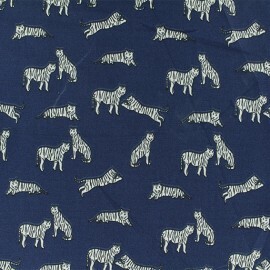 Enjoy a wide selection of satin microfiber fabric for dresses and tops ! 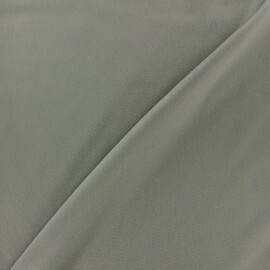 Discover our Pearl Peach microfiber satin fabric by Penelope® in grey. 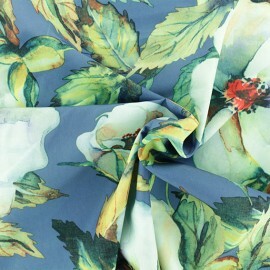 Enjoy a wide selection of satin microfiber fabric for dresses and tops ! Discover our Pearl Peach microfiber satin fabric by Penelope® in white. 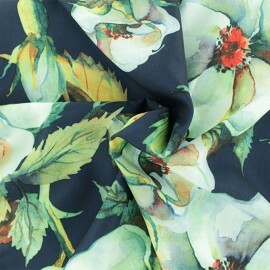 Enjoy a wide selection of satin microfiber fabric for dresses and tops ! 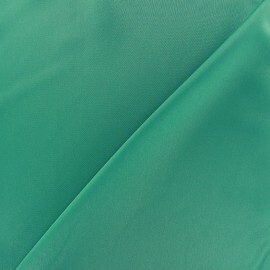 Discover our Pearl Peach microfiber satin fabric by Penelope® in green. 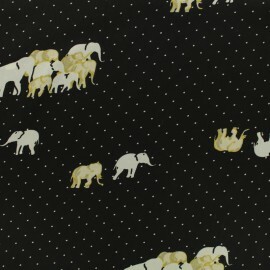 Enjoy a wide selection of satin microfiber fabric for dresses and tops ! 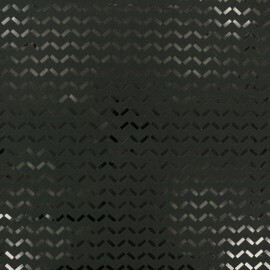 Discover our Pearl Peach microfiber satin fabric by Penelope® in black. 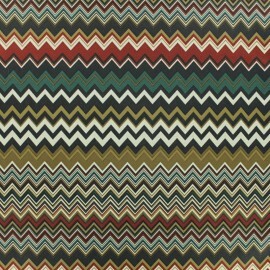 Microfiber touch silk Fabric. Supple and silky.